Le Domaine de l'Epervière is a luxury camping site that is situated in the grounds of an enchanting 16th century castle. This makes the perfect base to explore South Burgundy, while a large number of pretty hiking trails take guests to nearby villages. 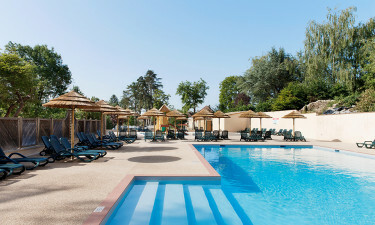 The staff at Le Domaine de l'Epervière put together an excellent entertainment programme for families to enjoy both during the day and in the evening, while people who book a mobile home here will also find plenty of places to unwind in style. What Makes Le Domaine de l'Epervière So Special? 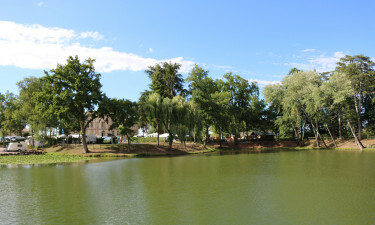 Le Domaine de l'Epervière comes complete with a fishing pond where keen fishermen can spend a few hours unwinding. There is no need to arrange a permit to fish here and equipment is available to hire so that fishermen will have the chance to catch carp, while the nearby river is a great place to catch huge catfish. People who have a passion for sports will be able to take part in an impressive selection of different types of sports while spending time at Le Domaine de l'Epervière. The bar boasts a pool table for guests to make use of in the evening, while the large grounds are ideal for those who want to play football and cricket. Other activities that are just waiting to be enjoyed onsite include table tennis, swimming lengths in the large outdoor swimming pool and playing basketball. One of the great things about Le Domaine de l'Epervière is that entertainment is provided for people of all ages to ensure that they enjoy a camping holiday they will never forget. The kids are definitely not excluded from the fun here and they are provided with a children’s club where they can play games, take part in activities and join workshops. The restaurant at Le Domaine de l'Epervière is particularly stylish and serves an excellent range of traditional French meals as well as family favourites from all over Europe. 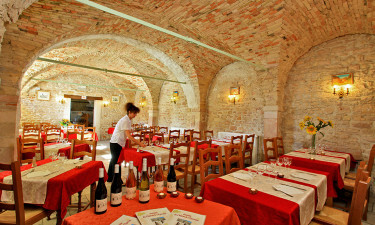 The restaurant also comes complete with a wine tasting cellar and sampling locally produced wine is sure to get the evening off to the perfect start. One of the great things about luxury camping is that guests will be able to choose exactly what they do. The snack bar provides meals that can be taken away to eat in the grounds of the LUX-camp, while cooking facilities are also provided inside the mobile homes. People who are looking for a little pampering will be able to indulge in a massage and other types of spa treatments, while the onsite supermarket is a good place to purchase provisions to ensure that there is no need for guests to venture far unless they really want to.